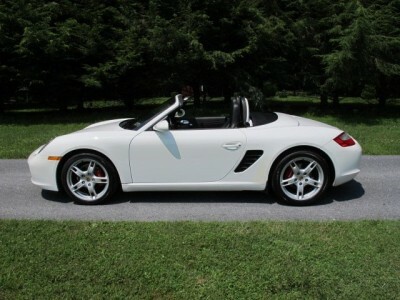 Beautiful, fully serviced white 2006 Porsche Boxster. Brake calipers professionally painted red to look like Boxster S with painted on Porsche stencils. Has S after Boxster on rear script but the vehicle is NOT a Boxster S, it is a base model. Car is in excellent condition.